Working in the construction industry can be very dangerous. Many people are injured or killed each year as a result of using power tools, being crushed by heavy construction vehicles, and from fall accidents. According to a recent news article from the New York Times, a 62-year-old construction worker died after falling from a building in East Harlem in New York City. Authorities say workers were performing major repairs on the building when the fatal on-the-job accident occurred. This was not one of the city’s well known skyscrapers, but the six story fall was clearly enough to prove fatal. Victim was working to replace rain gutters on the roof at the time of the fatal workplace accident when he fell to his death. First responders were called to the scene of the fatal workplace accident and attempted to provide immediate medical attention to the victim. They arrived to find him unconscious, and he was not responsive to their treatment efforts and was later pronounced dead on the scene of the deadly work-related accident. Following the accident, building inspectors and safety officials began an investigation. City officials issued a stop-work order halting all construction or renovations on the building until the investigation is complete or they are at least satisfied no other workers are being placed in immediate danger of being killed or injured on the job. This is a normal response to a work-related death and does not indicate the employer was negligently responsible for workers’ death. It is also standard practice following a deadly work accident for the United States Occupational Safety and Health Administration (OSHA) to perform a full investigation. If it is determined that any safety regulations were being violated related to the death of worker, or even those not related to the accident, OSHA has the power to issues warnings, require remedial measures, issue fines, or take other reasonable actions to prevent injury or illness to workers that can be avoided by following safety regulations already in place. If the agency does not discover any violations of safety rules, but determines the accident could have been prevent had changes been made, it can make recommendations to the employer and make recommendations to Congress to change the current safety regulations to include these new proposed additions to the code. 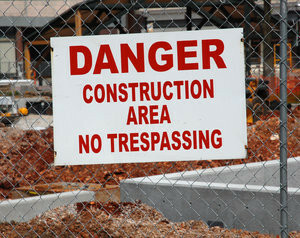 One issue that often occurs in construction accidents, as can be discussed with an experienced Boston workers’ compensation attorney, is that employers may try to avoid paying workers’ compensation by claiming the workers were independent contractors and not statutory employees that would be entitled to recover workers’ compensation benefits. While it is true that the workers’ employees are probably independent contractors or subcontractors hired to work on a project, that does not mean the construction workers are independent contractors as well. There are several tests courts can use to make this determination and avoid what is often known as employment misclassification from occurring. While there is a good chance the worker is an employee, every case is different, as the facts are never the same, so you should discuss you actual situation with an experienced attorney during your consultation.